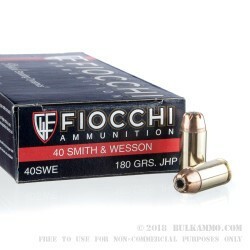 Fiocchi’s value priced personal defense .40 S&W ammunition, this is a great price for range shooting of the same ammunition that you will carry in your duty or defense weapon. 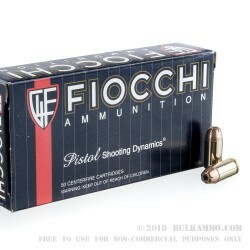 The Fiocchi brand name has come a long ways in the American shooting market, because they provide ammunition of the highest level of reliability and precision without overcharging for it. This is a .40 Smith & Wesson cartridge that utilizes a jacketed hollow point that is made in house by Fiocchi at the 180 grain weight. It is placed in a high-quality brass casing that features a Boxer primer that makes reloading easy for once fired brass. This is a new manufacture ammunition for the same price as the cheapest reloads, and it too can be reloaded several times. This load offers 1000 feet per second velocity out of the muzzle and an energy delivery of 399 ft. lbs. at the exit. 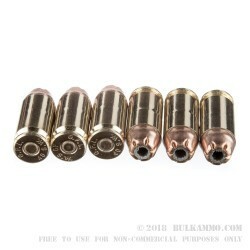 This is an adequate personal defense round but can also be used for training only purposes, because the price point is in line with moderately priced full metal jacket range ammunition. This is a 50 round box of Fiocchi ammunition. 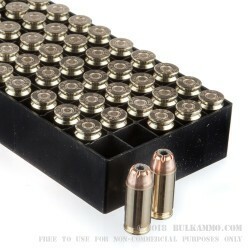 If you’d like to stock-up, we also offer this same exact load in a bulk case of 1,000 rounds for sale.